Home Tennis Nadal: "I have taken steps forward in all aspects"
Nadal: "I have taken steps forward in all aspects"
The Spaniard, already in eighth in Australia after knocking down De Miñaur, referred to the growth of his game: "Especially during the first set, a while, and the second, I played very well. 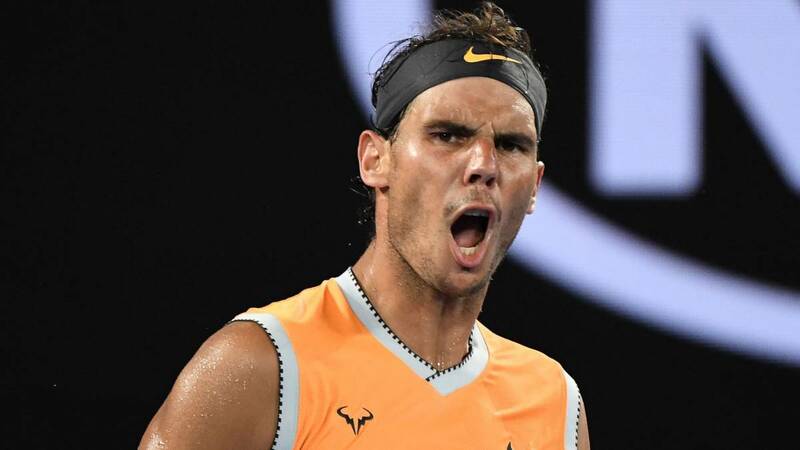 Rafa Nadal went through the Eurosport microphones at the end of his victory in the Round of 32 of the Australian Open against local Alex De Miñaur (6-1, 6-2 and 6-4) . His feelings, he said, are very good: "You can always play better, but it's true that, especially during the first set a while and the second, I played very well. It was a complicated match against a young player, in his house, which comes from winning seven games in a row, it's a great victory, the draw is exciting and it's being a good tournament. " As always, the Spaniard stopped to analyze the most remarkable aspects of his game, which improves by leaps and bounds with the passing of days: "I change the parallel when I have the confidence to do it." I am finding comfortable with the drive and I need I have felt better than the other day with the rest and more dynamic The personal feeling is always that there is a lack of rhythm and today it has not been like that. But here there are people of the highest level, that the season has started very well and it will be difficult ". Finally, he referred to the controversial balls that the organization has chosen for this edition, which are being criticized for their softness, especially in night conditions: "Two days ago I played more or less at the time of today and I noticed the softest ball, but the sensations are good ". Now, Nadal spoke with the international and Spanish media at a press conference. What rating does the party? Jugué at a level high enough to overcome De Miñaur. I did a lot of things well and that led me to get a very positive result. Was the pressure on De Miñaur to play on center court, against Nada and at home? I think not, because I have been in his position and He has already played on big sites. He comes from winning a tournament in Sydney and he's prepared. In no case will he intimidate the stage. He has also been in the Davis Cup, he played a great match in the US Open against Cilic ... I do not think the pressure has affected him. Alex's game seems to suit you, how does Berdych fit in? I will know in a couple of days. The game of the rivals suits you well or badly depending on how you are playing. In this game I have fit because I have done well. I saved the game from 1-1 and then I printed a very high rhythm and felt in control of the game in almost every respect. He almost always had control of the situation. In the third set has been more equal. I'm not talking very positively, but I practically did everything right, I took a step forward in everything. I hit good cross-reversions again, I changed well to the parallel and legs dynamism I saw myself well, something that when you have not competed for a while. Berdych is playing well, he comes from finishing in Doha and has won three good matches here. The only way to win is to play at a good level. España has been the country with more male players in the third round, do you think that is not valued enough? A few years ago, when someone reached the quarterfinals of a Grand Slam, it was great news. Now, with all the times we have done it in the last 15 or 20, it is perhaps logical that people stop valuing it in a big way. It is also true that although we are the country with the most players in the third round, we are not very young. I think we will value all the things that have happened to us in a not too distant time. What now looks like something normal, unfortunately I think it will be something extraordinary again. We have skipped some generation. Is Jaume Munar, but between Pablo Carreño and him, is there any? The logical thing is that we notice it.